Derry is Northern Ireland’s second city and was for many years known by the locals as “The Maiden City" and is a most delightful destination with lovely thought provoking unique private city sightseeing tours. In 2012 the city had a significant makeover to celebrate the United Kingdom's 2013 City of Culture year. There was a new square and peace bridge built, and the waterfront and famous Guildhall was redeveloped giving the city a fresh new modern look. 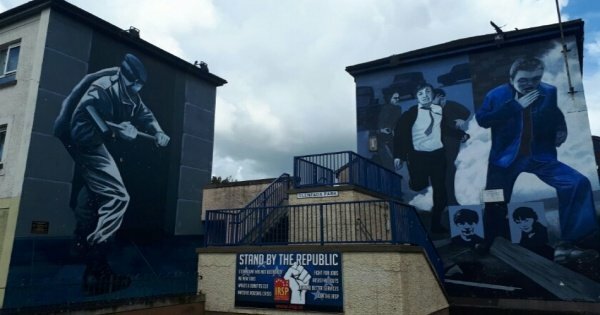 Visiting the display of Murals along Roseville Street in Derry will undoubtedly make you think, they are painted onto the gable end wall of the houses on the street. 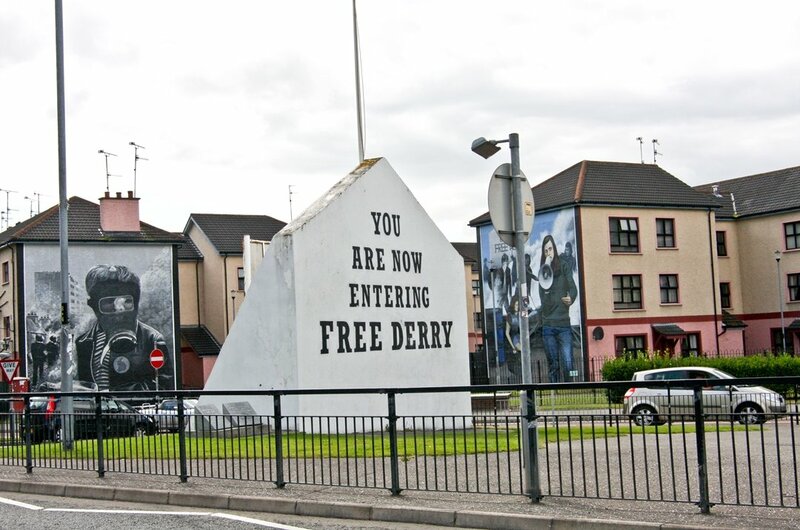 Painted by three very famous Bogside Artists, the Murals captivate the time of The Troubles in Derry. The paintings are commemorating events like Bloody Sunday, The prison Hunger Strikes in the 1080's and the most moving image of all "The Death of Innocence" which depicts the death of the 100th victim of the violence in Northern Ireland. 14-year-old Annett McGavigan was killed in the crossfire of an incident that happened 1971, and the image is set as a reminder of how things in Derry have changed for the better over the years. 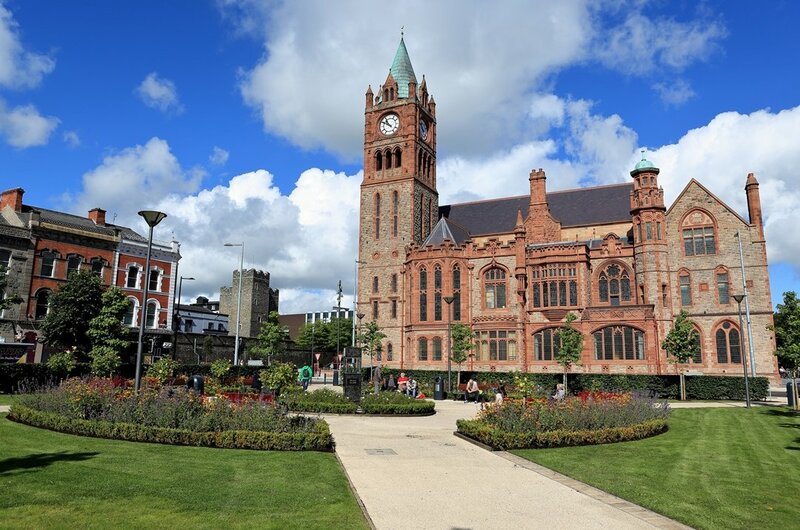 1 Guided tours of the Gothic Guildhall Building which is situated outside the city walls of Derry is on all city tours. The decorative stained glass windows and a detailed, unique architecture of the building are stunning. 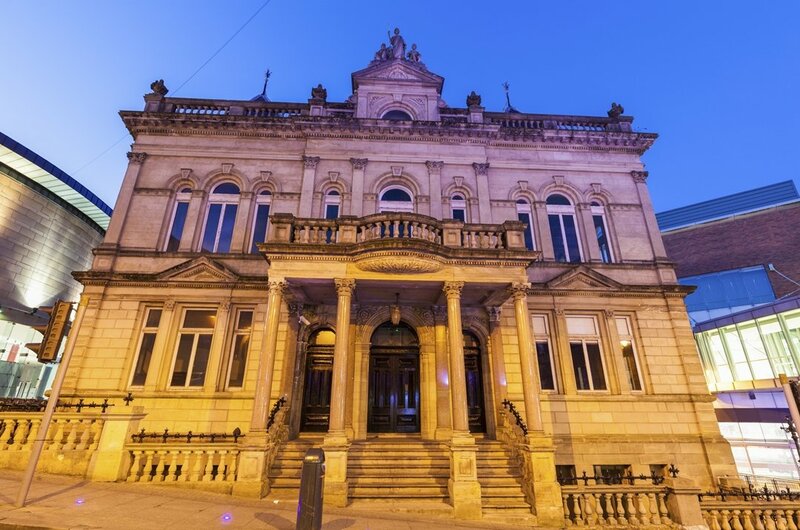 The Guildhall is also the location of the Bloody Sunday Inquiry, and there were many attempts to bomb the building during the Troubles. However, it has survived and is a top sightseeing destination. 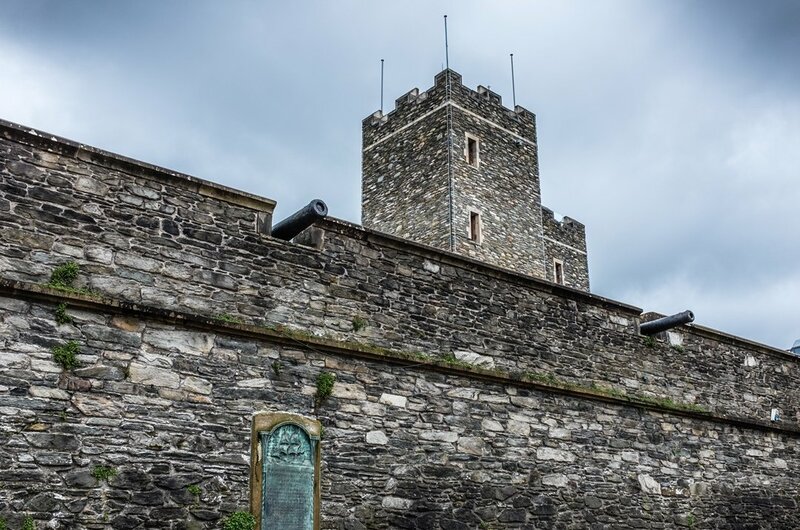 2 The Tower Museum has many excellent exhibitions with the most popular being the insightful "Story of Derry" and the fantastic "Armada Shipwreck Exhibition". Private guided tours around the museum are fascinating and have had fantastic reviews from visitors with many retrospective exhibitions and interactive information for everybody to get involved, and there is an excellent display on the late 1960's Battle of the Bog-side. 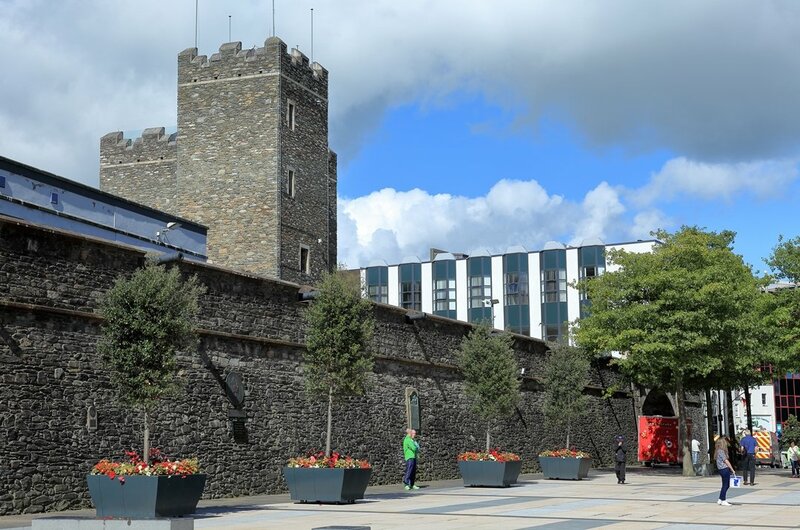 3 Derry City Walls are steeped in history, completed in 1619 it is the only complete wall in Ireland to have survived for hundreds of years and is a stop off on most Derry City Sightseeing Tours. 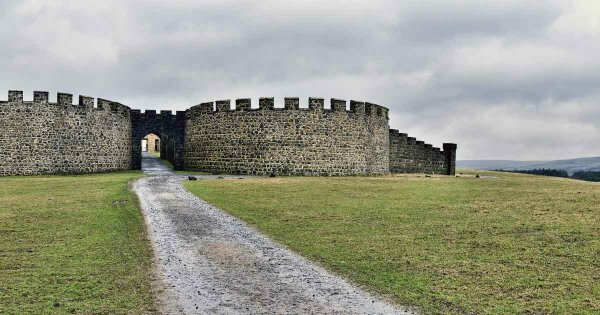 This wall is very famous in this region of Northern Ireland as records state that it is the only fully intact wall in the history of the U.K. to have never been breached or damaged by any invaders or during any disturbances in the city. 4 The display of Murals along Roseville Street are painted onto the gable ends of the houses. 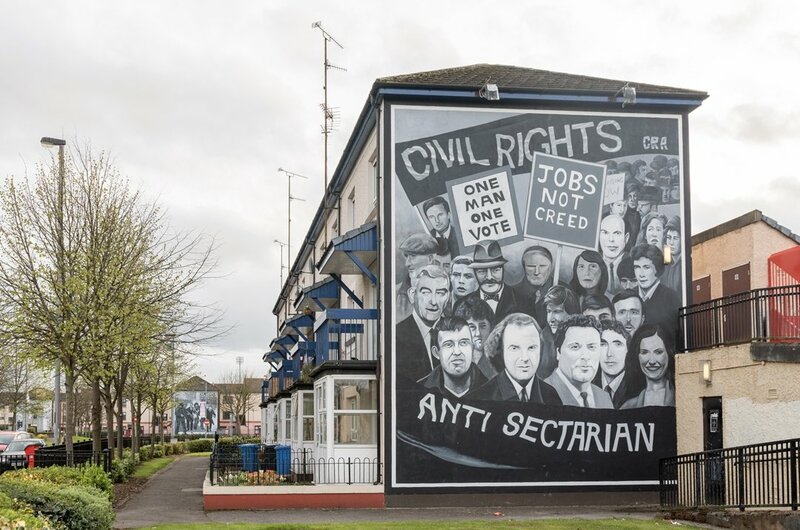 Painted by three famous Bogside Artists, the Murals captivate the time of The Troubles in Northern Ireland. Commemorating critical events like Bloody Sunday, The 1980’s Hunger Strikes and The Death of Innocence which is the most moving image of all depicting the death of the 100th victim of the violence 14-year-old Annett McGavigan in 1971. 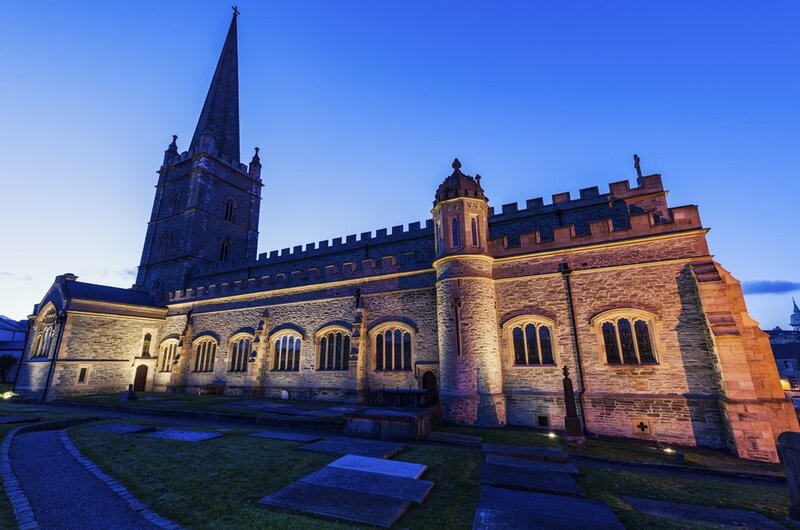 5 Constructed in the early 1600’s as was the Derry City Wall, St Columb's Cathedral is one of the oldest surviving buildings in the Ireland and The United Kingdom. Guided tours of The Cathedral are fascinating; you will hear the history of how during the Great Siege the Terms of Surrender was shot onto the porch of the Cathedral in an empty Mortar shell this is a fascinating tour and loved by all tourists who visit this site. 6 The Museum of Free Derry tells the true story of the Civil Rights movement in the Bogside of Derry and the specific events of Bloody Sunday. Guided Tours around the museum will show you the history of this area with many interactive exhibitions, tv and newspaper reports, lots of film clips and witness statements of the events. Many of the details in the Museum inspired the artists that worked on the Peoples Gallery Murals. 7 Derry's new museum celebrates the role of the 13 apprentice boys that locked the city gates in 1688 to stop the Jacobite army entering the city. In the 105day siege, there was no food or supplies could reaching the town, its starving citizens resorting to eating street animals until relief was shipped in. The Derry Association Protestant Apprentice Boys march in commemoration of this event every August. 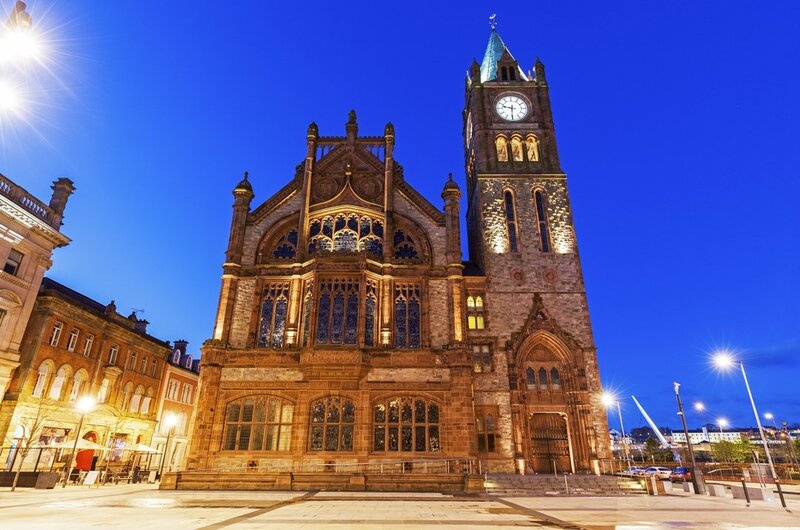 8 Derry city sightseeing tours to St. Columbus Church which was built in 1784 on the site of Teampall Mór or "The Great Church" is a must see when visiting Northern Ireland. With different long towers and a stunningly decorated high alter the interior and exterior of the Church was uniquely designed and decorated with great flair by the Bishop at the time Frederick Augustus Harvey. 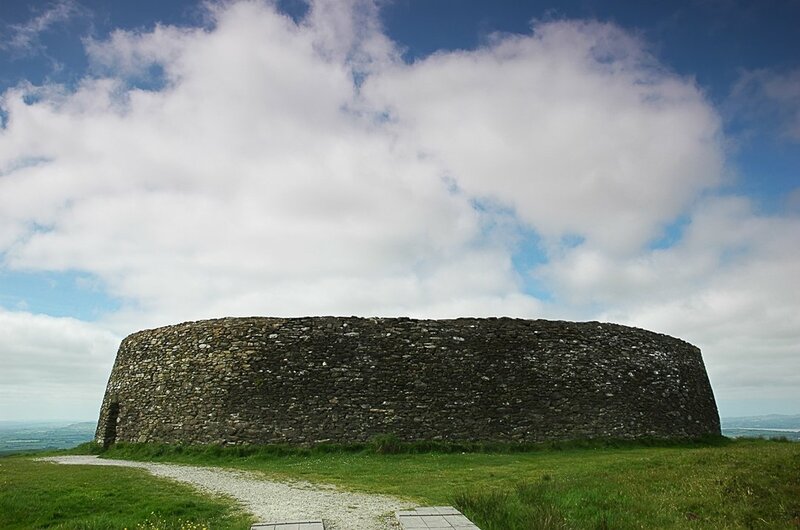 9 Some 11 kilometres from Derry is the Stone Fort of Grianán of Aileach, overlooking Lough Swilly and Lough Foyle the views from the site are spectacular. The exposed structure has been a steadfast symbol of the area, dated back to 1700BC it is uniquely situated on the border and has some of the best panoramic views in the world. Bus tours are the best way to see this area as the drive from Derry also has some beautiful picture opportunities. 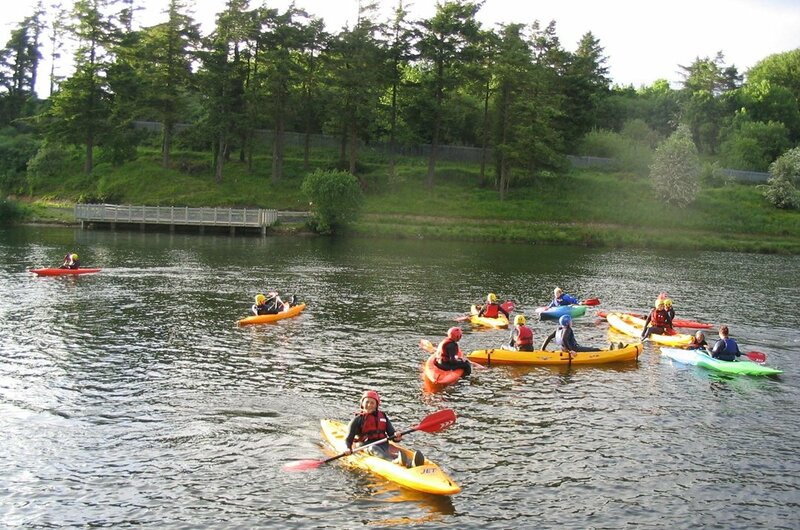 10 The Creggan Country Park is a great activity park for all the family and a perfect place to seek adventure after the many sightseeing tours in Derry. There are fantastic watersports, rafting, angling and outdoor pursuits at the park with excellent walking and trekking trails and plenty of activities and fun options for all the family. A day at Creggan County Park is the perfect way to finish any holiday in Northern Ireland. Private sightseeing tours to Derry Northern Ireland are ongoing and open all year round. However, the daily weather can be very changeable so come prepared when you are going on tours. The peak season months are from June to August are usually lovely, mild and sunny, but some days you can have all four seasons in one day. Northern Ireland Derry tours have a lot to offer holidaymakers with spectacular scenery with lovely green fields and friendly locals. 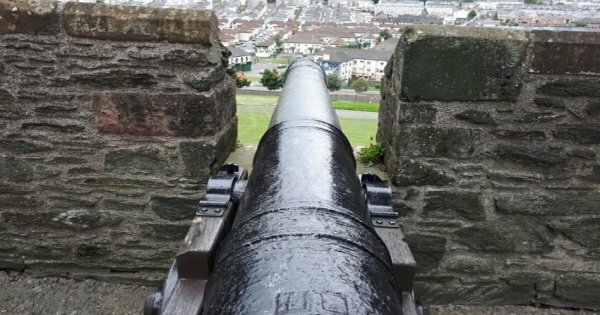 Derry private custom guided city tours and any hotels or accommodations are very reasonably priced with many tour deals and low-cost hotels to choose from in this region. Most Derry sightseeing tours charge entrance fee's and note that the currency in Derry the UK pound. Eating out is very reasonably priced from lovely high-end restaurants to fantastic local pub/bar food where you can experience real Derry cuisine. The weather is very unpredictable in the Derry region so always try to be prepared for every eventuality Hail, Rail, Sun and even Snow. Use locally registered and accredited tour guides for your Derry private custom tours and book in advance where possible. The currency in the North is the UK Pound, and there is a fee to enter most of the tourist's activities, but there are some days during the year when entry is free of charge for attractions. The weather in Derry as in most parts of Northern Ireland is changeable. The summer months from June to August are beautiful and sunny with mild temperatures for the most part which makes it a lovely time to visit the areas sightseeing hotspots. Autumn and springtime in Derry are glorious times of the year to visit with picture perfect views and fantastic tours. The winters are very wet, rainy and can be very harsh from October to February.